20 November 2017 — Sârukhâni III will be performed at the Sound ways New Music Festival by Plural Ensemble (Spain) conducted by Fabián Panisello. 2 October 2017 — The MolOt Ensemble has picked Mehdi Hosseini’s Sârukhâni III for its concert, which will be performed at the Sibelius Academy of the University of the Arts Helsinki, Finland. 6 April 2017 — Inertia I. performed at the Assembly Hall of the St. Petersburg State University by MCME. 5 January 2017 — Composition Seminar at the 5khat Music School. 24 December – 5 January 2017 — Composition Masterclass with Mehdi Hosseini at the 5khat Music School. 21 December 2016 — Mehdi Hosseini is guest composer at the Tehran University of Art. 20 December 2016 — Mehdi Hosseini as a guest composer visit the School of Performing Art of University of Tehran. 5 December 2016 — Mehdi Hosseini’s Inertia I. will be performed by the Moscow Contemporary Music Ensemble (MCME) at Chamber Hall of Moscow Philharmonic. 2 December 2016 — Kazan city première of Inertia I for clarinet/bass clarinet, piano, violin and violoncello will be performed by the Moscow Contemporary Music Ensemble at Kazan National Research Technological University. Concert program dedicated to the 85th anniversary of Sofia Gubaidulina. 15 November 2016 — Sârukhâni II. for flutes, saxophone soprano/alto, vibraphone, piano, violin, cello and electronics will be performed by GAMEnsemble at the “Moscow Autumn” Contemporary Music Festival. 2 November 2016 — Sârukhâni I. for flutes, saxophones, accordion, violin, cello and electronics will be performed by the Gallery of Actual Music Ensemble “GAMEnsemble” at Tchaikovsky Concert Hall, Moscow within the framework of V International Actual Music Festival “Another Space”. 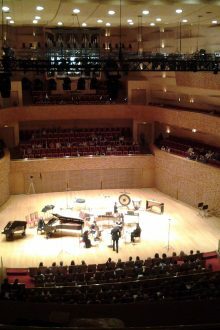 5 March 2016 — Âbkenâri for flute, clarinet, violin and cello will be performed by musicians of the Mariinsky Orchestra in Mussorgsky Hall (Mariinsky II). 15 January 2016 — Huzārag for piano solo performed by Hayk Melikyan, pianist at the Rudaki Concert Hall, Tehran. 2 November 2015 — Abkenari, will be performed at the Moscow Tchaikovsky Conservatory by Studio for New Music Ensemble. 21 May 2015 — Inertia I. , for clarinet, piano, violin and cello will be performed at the Mariinsky Theatre Concert Hall. 27 February 2015 — Recording upcoming album, 3 works: Monodies, Abkenari and Inertia by MCME – Moscow Contemporary Music Ensemble at the St. Petersburg Recording Studio (Melodiya). 21 November 2014 — The world premiere of “INERTIA” for clarinet, piano, violin and cello will be performed by Sound Ways New Music Ensemble at the Saint-Petersburg State Philharmonic (Glinka Hall). 02 September 2014 — The world premiere of “Marsiehâ-ye Khâk” (2014) for Symphony Orchestra and Electronics will be played by the North-Ossetian State Symphony Orchestra. 15 August 2014 — Abkenari (2013-14) for ensemble will be performed at the 47 Internationale Ferienkurse für Neue Musik, Darmstadt. 21 May 2014 — WORLD PREMIERE of “Sarbang” for Namascae Lemanic Modern Ensemble (Switzerland) William Blank, conductor. at Mariinsky Theatre. The master class composers’ session at the Center for Preservation and Propagation of Iranian Music. 26 December 2013 — Visiting composer, an open discussion and review of Album “Monodies” at the Andisheh Cultural Center, Tehran. 21 November 2013 — “Huzārag” (2013) for piano will be played by Alexey Glazkov. at the Mihail Chemiakin art gallery, St.Petersburg. 17 November 2013 — The world premiere of “Abkenari” (2013) for flute, clarinet, violin and cello. At the Saint-Petersburg State Philharmonic (Glinka Hall) by the “Sound Ways” New Music Ensemble. 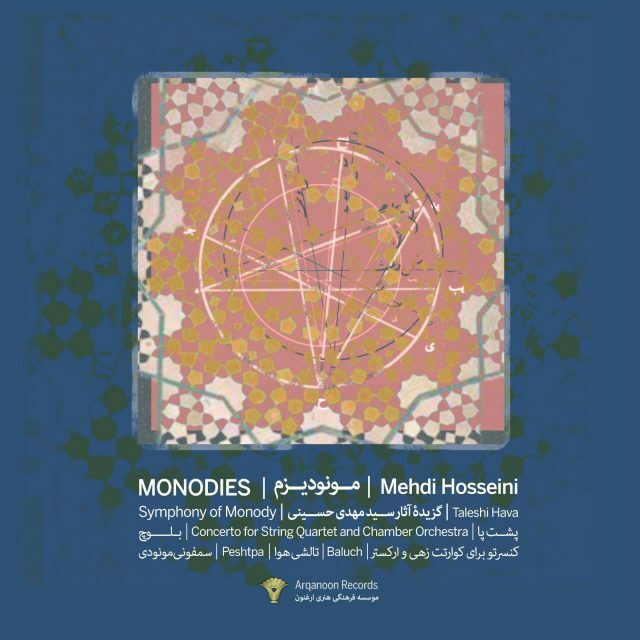 14 November 2013 — Album “Monodies” awarded by the Iran’s House of Music as best composition & album of the year! 13 November 2013 — Visiting composer, University of Tehran, Fine Art Faculty: School of Music. 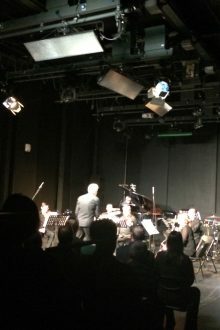 Presentation of Concerto for String Quartet and Orchestra. 25 May 2013 — “Monodies” for ensemble will be performed at Jaani Kirik Concert Hall, in St. Petersburg. By the Studio for New Music Ensemble, Moscow. 1 March 2013 — The world premiere of “Hesar” by Mehdi Hosseini performed by the Symphony Orchestra of the Opera and Ballet Theatre of the St. Petersburg Conservatory. 27 April 2012 — “Taleshi Hava” performed by Tiziana Pintus, violin and Dorian Cooke, bassoon at the Arti et Amicitiaein in Amsterdam. 12 March 2012 — Presenting “Post Scriptum” in the Chamber Hall of the Saint-Petersburg State Conservatory. Hosseini’s “Monodies” will be performed by the New Music Ensemble “Sound Ways” under the direction of American conductor Brad Everett Cawyer. 21 November 2011 — The world premiere of Mehdi Hosseini’s composition “Monodies” will take place on the 21st of November as part of the opening day of the 23rd Annual International New Music Festival “Sound Ways” in the Glinka Hall of the St. Petersburg State Philharmonic Orchestra. 1 October 2011 — On the International Day of Music in St. Petersburg, Russia, Hosseini’s Concerto for String Quartet and Chamber Orchestra will be conducted by Igor Ponomarenko. The performance will take place at Saint Michael’s Castle. 29 January 2011 — “Chahargah” performance by pianist Ivan Alexandrov will take place at Lutheran Church of Saint Peter and Saint Paul. 21 November 2010 — The 22nd Sound Ways New Music Festival opening concert will take place at St. Petersburg State Philharmonic’s Glinka Hall. In this opening concert a new work entitled «Pause» by Mehdi Hosseini will be performed by the Sound Ways Ensemble. in Saint-Petersburg State Philharmonic Hall. 12 March 2010 — the Association of Contemporary Music from the St. Petersburg Composers Union will present a concert of chamber music. This program, features works by Mehdi Hosseini and St. Petersburg composers. 22 October 2009 — Mehdi Hosseini’s “Baluch” presented at Saint Petersburg Renaissance. Dedicated to remembrance of Russian composer Uri Kachurov. Performed by an ensemble formed of soloists from the St. Petersburg Conservatory and the St. Petersburg Philharmonic Orchestra. 21 October 2009 — Kurdish work “Peshtpa” presented in International Conference A REVERSE PERSPECTIVE. The composition, scored for oboe, bass clarinet, and violoncello, was included on a program that is dedicated to the anniversaries of the births of Pushkin (210 years), Gogol (200 years), and Futurism (100 years) and displayed music of the St. Petersburg school of composition. Association for Contemporary Music of “St-Petersburg Composers Union”. Performed by musicians from the St. Petersburg Conservatory and Philharmonia. 16 April 2009 — “Turkman Sonata” in Saint-Petersburg House of Composers. 30 October 2008 — “Sonata for Violin and Piano” presented in Saint-Petersburg State Conservatory. 22 October 2008 — “String Quartet N.2” Trajectories of Petersburg Avant-Garde. Performed by “Con Moto” String Quartet. Program dedicated to Russian musicologist U. N. Tulin. 25 Aug 2007 — “String Quartet N.2” in Austria. 3 Jun 2007 — “Symphony of Monody” performed by Saint-Petersburg State Academic Symphony Orchestra.